A 30 minute documentary celebrating the Centenary of the Ritz Cinema features the story of Walter Power, the pioneer of the Cinema in Thirsk, North Yorkshire. A nostalgic look into cinema history the film captures the atmosphere of very early cinema beginning with silent movies and the first 'talking pictures' through to the present day. The film also includes a rare glimpse of life in the projection room along with the fun and excitement of the children's Saturday Matinees with sweets and choc ices sold by the girls with the trays and fond memories of romance in the courting seats of the back row. As independent cinemas closed in nearby towns Thirsk Town Council stepped in to save the Ritz Cinema and a Volunteer Cinema Management Committee was set up to run the Cinema with the help of dedicated local volunteers. In their Centenary Year, the Ritz Cinema continues to go from strength to strength and looks forward to the new digital age of the cinema in Thirsk. Monday 16th April - Thursday 19th April 7.30pm to be shown before the main feature. 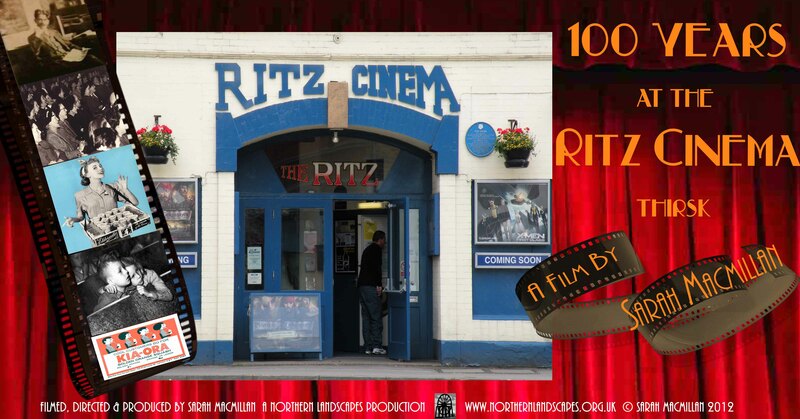 '100 Years At The Ritz Cinema, Thirsk'.